Balsamic vinegar in danger for the heat: this is the alarm launched by the Consortium of the traditional balsamic vinegar. In the last few weeks we have been talking about nothing but the great heat that invaded our peninsula. Record temperatures have kneeled many farmers and breeders from North to South. For this reason, the residents of Modena and the province are more concerned: what happens at the balsamic vinegar with this wave of heat? The Consortium listed a series of advices for the owner of the barrels and there they are: keep the small barrels well sealed, humidify their wood outside with cloths or sponges soaked in water and vinegar, and put a container full of vinegar, these are some of the simplest considerations to put into practice. Moreover, let’s find out what happens in a barrel: measurements in vinegar barrels, such as acidity, sugar degree, and density are carried out at temperatures around 15 ° C, 20 ° C because they are ideal for microorganisms in vinegar balsamic. 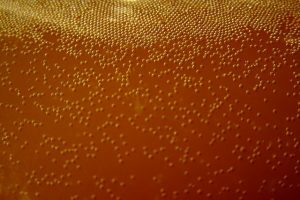 Below, and above these, bacteria responsible for acetic fermentation cease to work. With high temperatures, alcoholic fermentations occur faster than expected, but in order to have a good product, alcoholic fermentation must be slow. Another crucial moment is maturing and aging. Glucose crystallization is one of the most dangerous disadvantages in the production of the orignal Balsamic Vinegar. The heat favors the evaporation of water and as a result concentrates the sugar which crystallizes and sedimentates. At this point you have to remove the sedimented part and adjust the product. Traditional Balsamic Vinegar of Modena in danger for the heat: the only thing we can do is not to concentrate excessively the cooked must, make well-targeted alcoholic fermentations and close the bulbs of the smaller barrels. Hopefully, this hot weather will pass and we can continue to preserve and make our product at its best. Previous Balsamic reduction sauce: How to make it.